Travel with us. Train with us. 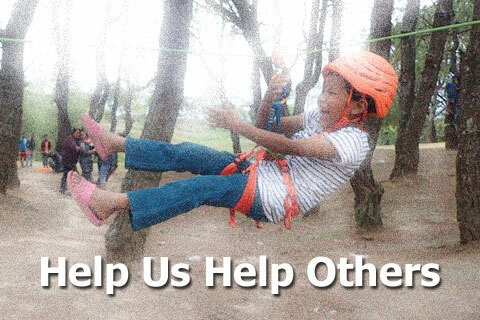 Help us help others. 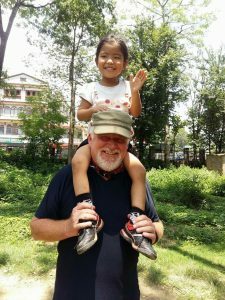 Now retired from guiding, Rich invests the majority of his time teaching and on volunteer service projects. His mission is to assist with economic development and enhance quality of life for individuals and communities around the world through the provision of training for canyoneers, canyon guides and canyon rescue teams. Rich is especially interested in serving underprivileged youth and unemployed adults in Native American communities and in developing countries. For qualifying groups, he will provide training, assist with the establishment and promotion of a youth service program, canyon guide program and/or canyon rescue program, as well as help with the acquisition of gear. You will be responsible for the costs associated with your travel, accommodations, meals and other incidental expenses, plus a donation that will be used to defray program costs. In return for your support you will be welcome to participate in all of the training and events offered during the program. In addition, program organizers and local partners will do their best to assist you with your travel arrangements and serve as your “hosts/concierges” during your stay. You will also have as much free time as you want to enjoy the local culture and landscape. No matter where we go or what we do, we guarantee you will be rewarded with smiles from those we serve and memories that will last a lifetime. Please join us. Check our Event Calendar for upcoming programs and destinations. Inspired by “Sacred Economics” by Charles Eisenstein. Wouldn’t it be a beautiful world if we simply helped those in need without worrying about silly pieces of green paper. You can still help. Rich uses proceeds from gear sales and paid training gigs to support his volunteer service projects. Additional funds are always needed. Your support helps cover travel expenses and the cost of gear that is donated to the indigenous groups we train. Rich donates his time, labor and expertise. Become a Patron! NOTE: Our training programs will also benefit from the donation of gear, new or used, as long as it is in good working condition.